Successful businesses know how valuable online reviews are. Successful businesses know how valuable online reviews are. In fact, modern-day customers read reviews to find out more about a company before doing business with it. They want to know the experiences of previous clients and their feedback about the company. Nine out of 10 consumers will trust what they read about a particular business from the reviews. That’s 90 percent of the customers, which only proves the significance of online reviews to every business. For instance, if you run a window washing company, you need to encourage the customers to share their feedback and let the people know that your company is legit, reliable, and reputable. Online reviews and personal recommendations have similar ways of influencing customers in terms of buying decisions. Let’s say your window washing services are worth the price, future clients will be aware of it when they read reviews or hear testimonials from real customers. About 88% of potential clients use reviews when making up their minds whether to buy from a company or not. This is interesting, given that most of the time, clients are reading reviews posted by people they have never even met. If your site does not have any reviews at all, what you are communicating to your potential clients is that you are a new company. Not many clients will want to serve as the proverbial guinea pig for you. 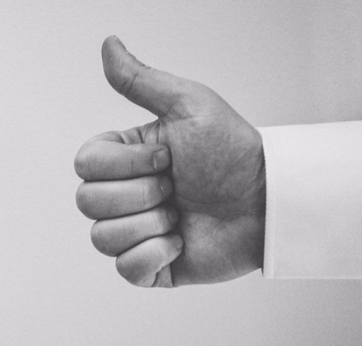 Positive comments typically boost your sales by a significant percentage. Consequently, clients will stop doing business with a company that has negative reviews - low trust rating, low sales. Having a site that enables clients to review you is advantageous for the ranking on search engines. Each review a client posts on your site is essentially unique content, which gives the site higher relevance and authority on the service you offer. As a result, you improve your chances of getting ranked higher than your competitors. Secondly, the best reviews on your site can serve as a helpful information for people seeking answers about the window cleaning services in your area. They give you higher chances of becoming more visible on search engine results pages (SERP). Having more positive reviews on external websites will usually result in higher rankings on search engines. Sometimes, the results can go higher than what you would get from the reviews on your company’s website. Keep in mind that search engines rank websites by incorporating data from review sites like Yelp. These third-party review domains usually check your entire company, not just one of the services you offer. Garnering a lot of positive reviews in third-party review sites increases your odds of ranking highly on Google. Reviews, even when not all of them are positive, will make clients more aware of your brand. Actually, having a few negative reviews may have a positive effect on your business as it gives credibility to your company. Having a thousand 5-star reviews and not a single negative review will usually make potential clients suspicious. It may mean that you’re trying to conceal something, and that can affect your image significantly. As much as possible, strive to maintain an honest image. Be careful, however, that the negative reviews do not overwhelm your positive ones. Do your best to respond to every negative review so you don’t lose clients. A gorgeous website is a sure asset to your online marketing campaign, but it is not enough to increase your sales. No amount of creativity in web design can make up for poor customer service. If your services do not meet your customers’ expectations, you’ll be sure to hear about it online. But if you make excellent customer service your top priority, then clients will be happy to leave a positive review. Sometimes, all you need is your clients’ feedback to know if your business is sailing well. A negative review will serve as a wakeup call on areas you need to fix, so you avoid losing potential business. That said, it’s important to know which reviews you can do nothing about. But of course, you have to remember that you’ll never be able to satisfy everyone all the time. As the business space becomes digitized, online reviews will continue to a have tremendous impact on businesses. What your potential clients read about you online matters a lot to them, so it pays to make sure that they like what they see. Many times, you’ll need to go out of your way to encourage customers to review your services, but ultimately, it’s a worthwhile investment.